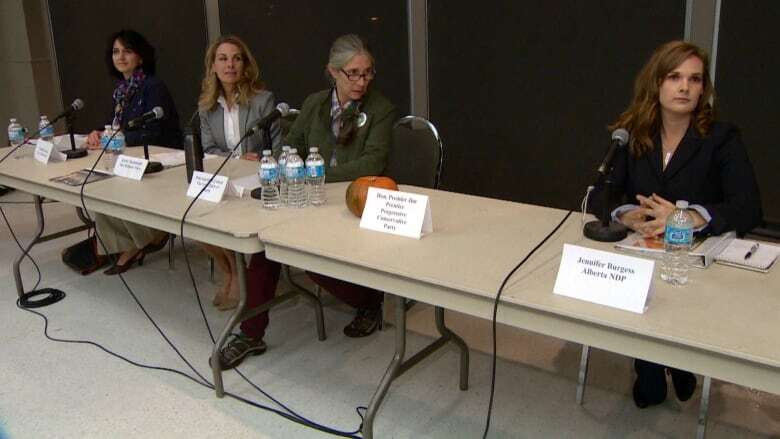 Five of the seven byelection candidates in Calgary-Foothills attended a debate Wednesday night in the city’s northwest, and Premier Jim Prentice wasn’t one of them. About 100 people came to watch the debate at the Edgemont Community Association sponsored by the Alberta Society for the Visually Impaired. Organizer Stephanie Hawking said she is disappointed Prentice didn’t take part. “I’ve reached out to his campaign a number of times. I've been trying for … just over a week and a half now to secure his attendance and haven't had any positive response,” she said. Independent candidate Dave Woody Phillips was also a no-show. 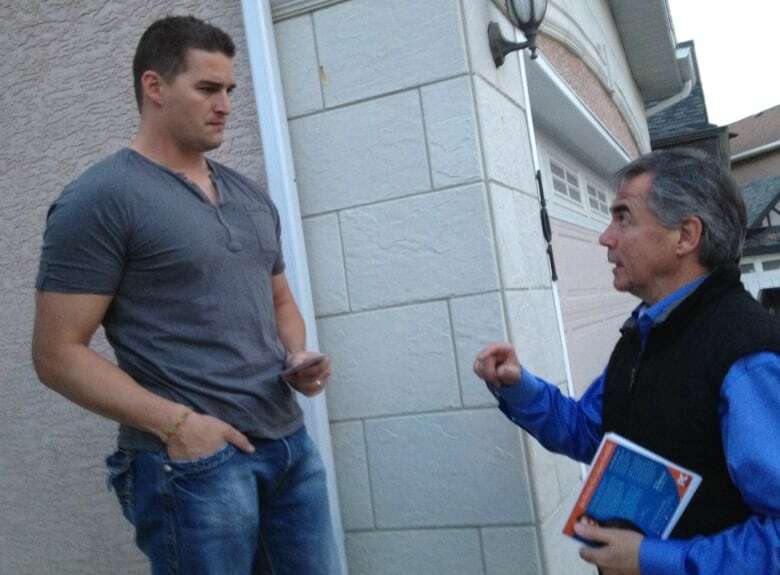 Prentice has been out on the streets in Calgary-Foothills knocking on doors. He said some people are surprised to see a premier on their front steps looking for votes. “It’s very surprising ... but after they recover, they, you know in the confidence of their own home, they tell me exactly what they're thinking,” he said. 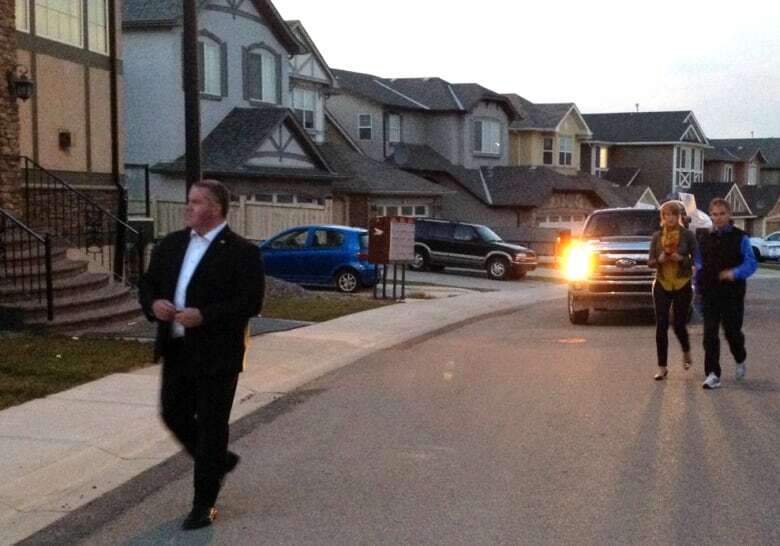 A premier hasn’t run in a byelection in Alberta for 25 years. Prentice said the key issues he's hearing about on the doorsteps are health, education and the need for new leadership. Voters in Calgary-Foothills, Calgary-Elbow, Calgary-West and Edmonton-Whitemud go to the polls Oct. 27. Dave Woody Phillips – Independent. Jim Prentice – Progressive Conservative Party.